Last week Bianca, my Cornish Rex, and I made the trip down to Tucson to give a presentation about cat behavior at Building Bonds training center. To be honest, I was very nervous weeks before the presentation because I was worried that not many people would be interested in the topic, but I was wrong! There were 20 people in attendance and even more that weren’t able to travel down to Tucson but expressed interest in wanting to hear my presentation. I was very impressed with the fact that there were a great number of animal shelter volunteers that were looking to learn more so that they are able to help the cats at the shelter become more highly adoptable. 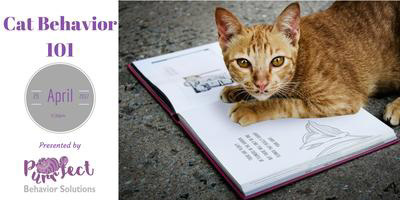 For the past year, I have been searching for a place to hold more cat related courses to bring more awareness to the fact that there are things we can do to prevent behavioral problems in cats and how to deal with any existing issues with positive methods. 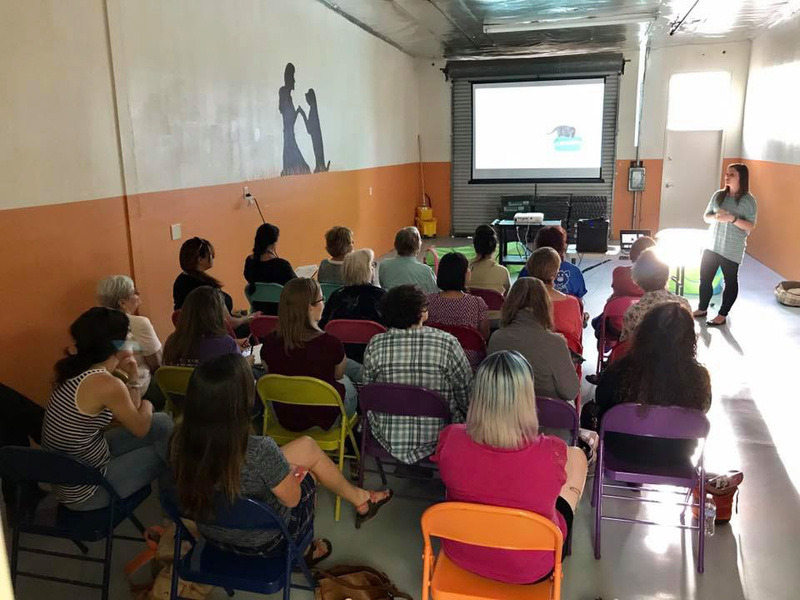 I had not had much success in my area of town with finding a facility that I would be able to give a presentation as well as have animals in attendance. I was so happy when I met Kim Silver, owner and trainer at Building Bonds, because she and I have the same training philosophies when working with all animals. She was kind enough to let me host an introductory course at her facility and I plan on working more with her over the summer to teach more cat and kitten related classes for cat owners and shelter volunteers looking to learn more. In the course, we touched on some of the most common behavioral problems that cat owners might face and how to deal with and prevent them. We reviewed cat body language and then also touched on inappropriate elimination, scratching, biting, climbing, dealing with multiple pet households, and cats that are a night time nuisance. The 90-minute presentation covered a lot of topics and the attendees walked away with lots of notes and knowledge! Bianca was my trusty side kick who showed the attendees how friendly, easy to handle, and playful cats can be even in a room full of strangers. I am sure she was the true star of the show! If you would like to learn more about upcoming events, contact me. Inside the life of a feline behavior consultant. Our sister site, Carrie Pawpins Pet Nanny, gives you many options for Professional Pet Sitting, Canine Nutrition and also staff training! Check it out HERE!